Incredible summer conditions with soft snow and blue skies – sunscreen is a must! Glacier Skiing runs from June 8 – July 14, 2019 from 11 AM – 3 PM daily, weather permitting. 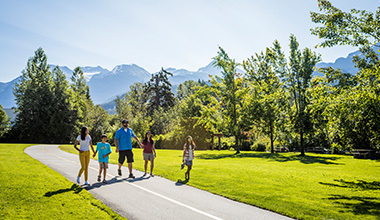 Contact the Whistler Visitor Centre for daily updates. Operating hours are from 11 AM – 3 PM daily, weather permitting. Public upload begins from 11 AM at the Whistler Village Gondola. Glacier Access is via the Village Gondola and the PEAK 2 PEAK Gondola. Only Camps and Coaches are permitted to upload before 11 AM. Sightseeing upload begins at 10 AM. Last upload is at 1:30 PM, skiers and riders are not permitted to upload after 1:30 PM. 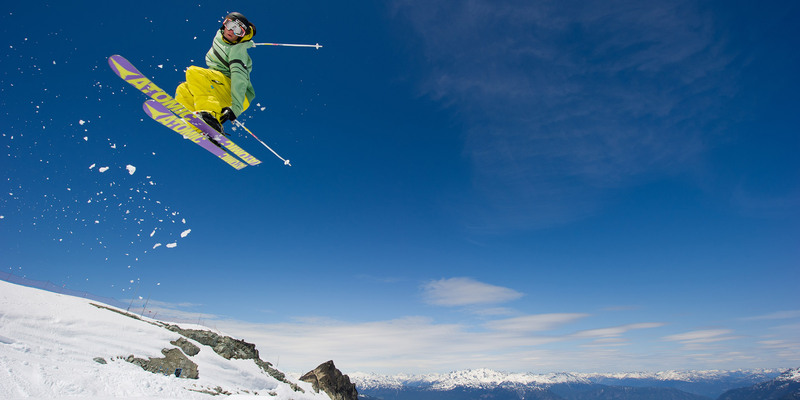 Your Summer Glacier ticket includes shuttle bus service to and from 7th Heaven and access to one public lane which includes Terrain Park features. Please note, all other lanes and areas are reserved for Glacier Camps only. Please see signage at the top of 7th Heaven for public lane information or ask uniformed staff member there for details. Ski and Snowboard ability level must be advanced to expert, no exceptions. Skiers/Riders must be able to ride on T-bars, there is no chairlift on the glacier. No singles on T-bars during busy periods, which is most periods. Conditions may vary throughout the day, so be prepared. Bring sunscreen, goggles, sunglasses, gloves and a jacket as the weather changes quickly in the alpine. Here it is - the complete summer experience, the definitive list of what to see and do to get the flavour of the Coast Mountains.